There is still time to get your entry in and be part of the 40th anniversary celebrations at the Albins ARB Goondiwindi 400 next weekend, with entries closing tomorrow at midnight Friday 11th August. 104 teams nominated but with five withdrawals, this will see stage 99 teams will greet the start lights and tackle the infamous Malapunyah Run. 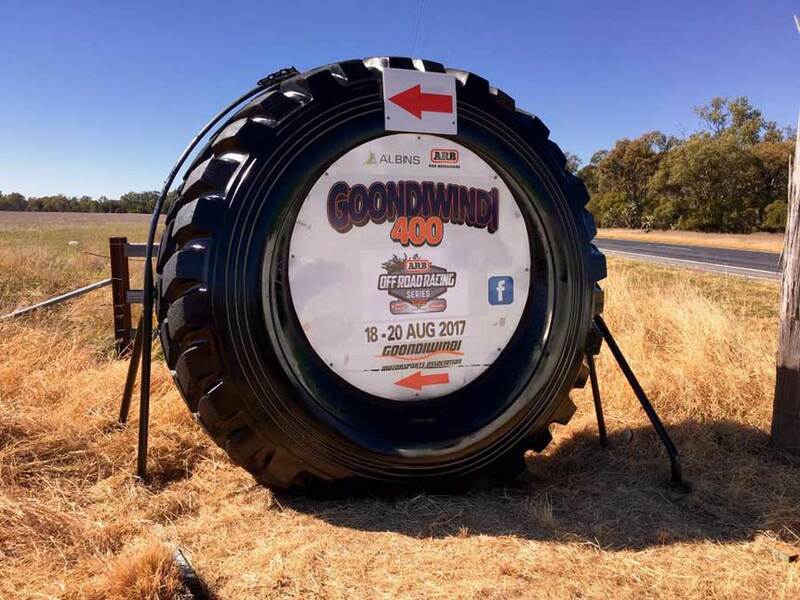 Reports from the Goondiwindi Motorsports Association say “the track is looking the best it ever has” and with perfect Queensland weather on the agenda, the southern states competitors will be looking forward to the sunshine. The tyre and sign at the turnoff on the highway has had its annual spruce up and looking slick for passing highway traffic. Also due to the large field, the event format for Sunday’s 4 laps has changed. Instead of the 2 laps, a 30minute service break, parke ferme, and full field restart and 2 more laps, Sundays' 4 laps will run with two laps, one hour service break and then two more laps – no parke ferme. Teams will restart exactly one hour after they finished their second lap. The presentation dinner on Sunday night is always very popular and the club would like teams to order their dinner tickets as soon as practical to allow the caterers time to plan. An online order form is available [click here]. Dinner will start at 6:00pm with Presentations at 8:00pm. Those that don’t want to come to the dinner are welcome to come to the venue at 8:00pm for the awards presentation.